An important characteristic of any set of data is the variation in the data. In some data sets, the data values are concentrated closely near the mean; in other data sets, the data values are more widely spread out from the mean. The most common measure of variation, or spread, is the standard deviation. The standard deviation is a number that measures how far data values are from their mean. The standard deviation provides a numerical measure of the overall amount of variation in a data set, and can be used to determine whether a particular data value is close to or far from the mean. The standard deviation provides a measure of the overall variation in a data set. The standard deviation is always positive or zero. The standard deviation is small when the data are all concentrated close to the mean, exhibiting little variation or spread. The standard deviation is larger when the data values are more spread out from the mean, exhibiting more variation. Suppose that we are studying the amount of time customers wait in line at the checkout at supermarket A and supermarket B. the average wait time at both supermarkets is five minutes. At supermarket A, the standard deviation for the wait time is two minutes; at supermarket B the standard deviation for the wait time is four minutes. Because supermarket B has a higher standard deviation, we know that there is more variation in the wait times at supermarket B. Overall, wait times at supermarket B are more spread out from the average; wait times at supermarket A are more concentrated near the average. The standard deviation can be used to determine whether a data value is close to or far from the mean. Suppose that Rosa and Binh both shop at supermarket A. Rosa waits at the checkout counter for seven minutes and Binh waits for one minute. At supermarket A, the mean waiting time is five minutes and the standard deviation is two minutes. The standard deviation can be used to determine whether a data value is close to or far from the mean. Seven is two minutes longer than the average of five; two minutes is equal to one standard deviation. Rosa’s wait time of seven minutes is two minutes longer than the average of five minutes. Rosa’s wait time of seven minutes is one standard deviation above the average of five minutes. Binh waits for one minute. One is four minutes less than the average of five; four minutes is equal to two standard deviations. Binh’s wait time of one minute is four minutes less than the average of five minutes. Binh’s wait time of one minute is two standard deviations below the average of five minutes. one standard deviation to the right of five because 5 + (1)(2) = 7. If one were also part of the data set, then one is two standard deviations to the left of five because 5 + (–2)(2) = 1. One is two standard deviations less than the mean of five because: 1 = 5 + (–2)(2). The equation value = mean + (#ofSTDEVs)(standard deviation) can be expressed for a sample and for a population. The lower case letter s represents the sample standard deviation and the Greek letter σ (sigma, lower case) represents the population standard deviation. The symbol is the sample mean and the Greek symbol μ is the population mean. If x is a number, then the difference “x – mean” is called its deviation. In a data set, there are as many deviations as there are items in the data set. The deviations are used to calculate the standard deviation. If the numbers belong to a population, in symbols a deviation is x – μ. For sample data, in symbols a deviation is . The procedure to calculate the standard deviation depends on whether the numbers are the entire population or are data from a sample. The calculations are similar, but not identical. Therefore the symbol used to represent the standard deviation depends on whether it is calculated from a population or a sample. The lower case letter s represents the sample standard deviation and the Greek letter σ (sigma, lower case) represents the population standard deviation. If the sample has the same characteristics as the population, then s should be a good estimate of σ.
variance is the average of the squares of the deviations (the x – values for a sample, or the x – μ values for a population). The symbol σ2 represents the population variance; the population standard deviation σ is the square root of the population variance. The symbol s2 represents the sample variance; the sample standard deviation s is the square root of the sample variance. You can think of the standard deviation as a special average of the deviations. If the numbers come from a census of the entire population and not a sample, when we calculate the average of the squared deviations to find the variance, we divide by N, the number of items in the population. If the data are from a sample rather than a population, when we calculate the average of the squared deviations, we divide by n – 1, one less than the number of items in the sample. In the following video an example of calculating the variance and standard deviation of a set of data is presented. For the sample standard deviation, the denominator is n – 1, that is the sample size MINUS 1. For the population standard deviation, the denominator is N, the number of items in the population. In these formulas, f represents the frequency with which a value appears. For example, if a value appears once, f is one. If a value appears three times in the data set or population, f is three. How much the statistic varies from one sample to another is known as the sampling variability of a statistic. You typically measure the sampling variability of a statistic by its standard error. The standard error of the mean is an example of a standard error. It is a special standard deviation and is known as the standard deviation of the sampling distribution of the mean. You will cover the standard error of the mean when you learn about The Central Limit Theorem (not now). The notation for the standard error of the mean is where σ is the standard deviation of the population and n is the size of the sample. The average age is 10.53 years, rounded to two places. The variance may be calculated by using a table. Then the standard deviation is calculated by taking the square root of the variance. We will explain the parts of the table after calculating s.
The sample standard deviation s is equal to the square root of the sample variance: which is rounded to two decimal places, s = 0.72. Typically, you do the calculation for the standard deviation on your calculator or computer. The intermediate results are not rounded. This is done for accuracy. Verify the mean and standard deviation on your calculator or computer. Find the value that is one standard deviation above the mean. Find ( + 1s). Find the value that is two standard deviations below the mean. Find ( – 2s). Find the values that are 1.5 standard deviations from(below and above) the mean. Clear lists L1 and L2. Press STAT 4:ClrList. Enter 2nd 1 for L1, the comma (,), and 2nd 2 for L2. 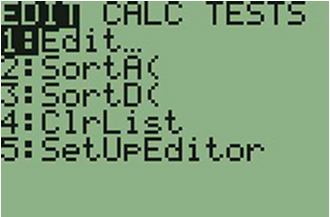 Enter data into the list editor. Press STAT 1:EDIT. If necessary, clear the lists by arrowing up into the name. Press CLEAR and arrow down. Put the data values (9, 9.5, 10, 10.5, 11, 11.5) into list L1 and the frequencies (1, 2, 4, 4, 6, 3) into list L2. Use the arrow keys to move around. Press STAT and arrow to CALC. 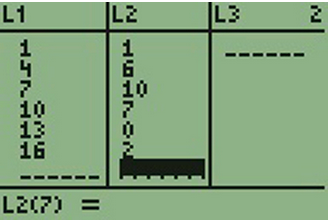 Press 1:1-VarStats and enter L1 (2nd 1), L2 (2nd 2). Do not forget the comma. Press ENTER. Use your calculator or computer to find the mean and standard deviation. Then find the value that is two standard deviations above the mean. ( + 2s) = 30.68 + (2)(6.09) = 42.86. The deviations show how spread out the data are about the mean. The data value 11.5 is farther from the mean than is the data value 11 which is indicated by the deviations 0.97 and 0.47. A positive deviation occurs when the data value is greater than the mean, whereas a negative deviation occurs when the data value is less than the mean. The deviation is –1.525 for the data value nine. If you add the deviations, the sum is always zero. (For Example 1, there are n = 20 deviations.) So you cannot simply add the deviations to get the spread of the data. By squaring the deviations, you make them positive numbers, and the sum will also be positive. The variance, then, is the average squared deviation. The variance is a squared measure and does not have the same units as the data. Taking the square root solves the problem. The standard deviation measures the spread in the same units as the data. Notice that instead of dividing by n = 20, the calculation divided by n – 1 = 20 – 1 = 19 because the data is a sample. For the sample variance, we divide by the sample size minus one (n – 1). Why not divide by n? The answer has to do with the population variance. The sample variance is an estimate of the population variance. Based on the theoretical mathematics that lies behind these calculations, dividing by (n – 1) gives a better estimate of the population variance. Your concentration should be on what the standard deviation tells us about the data. The standard deviation is a number which measures how far the data are spread from the mean. Let a calculator or computer do the arithmetic. The standard deviation, s or σ, is either zero or larger than zero. When the standard deviation is zero, there is no spread; that is, the all the data values are equal to each other. The standard deviation is small when the data are all concentrated close to the mean, and is larger when the data values show more variation from the mean. When the standard deviation is a lot larger than zero, the data values are very spread out about the mean; outliers can make s or σ very large. The standard deviation, when first presented, can seem unclear. By graphing your data, you can get a better “feel” for the deviations and the standard deviation. You will find that in symmetrical distributions, the standard deviation can be very helpful but in skewed distributions, the standard deviation may not be much help. The reason is that the two sides of a skewed distribution have different spreads. In a skewed distribution, it is better to look at the first quartile, the median, the third quartile, the smallest value, and the largest value. Because numbers can be confusing, always graph your data. Display your data in a histogram or a box plot. Create a chart containing the data, frequencies, relative frequencies, and cumulative relative frequencies to three decimal places. Construct a box plot and a histogram on the same set of axes. 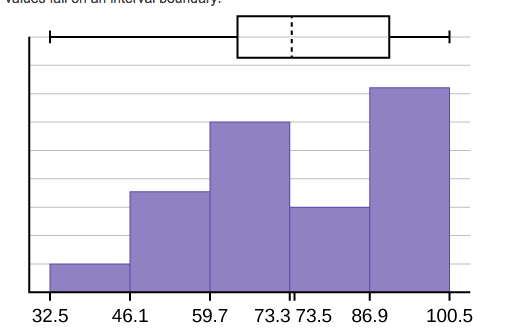 Make comments about the box plot, the histogram, and the chart. The x-axis goes from 32.5 to 100.5; y-axis goes from –2.4 to 15 for the histogram. The number of intervals is five, so the width of an interval is (100.5 – 32.5) divided by five, is equal to 13.6. Endpoints of the intervals are as follows: the starting point is 32.5, 32.5 + 13.6 = 46.1, 46.1 + 13.6 = 59.7, 59.7 + 13.6 = 73.3, 73.3 + 13.6 = 86.9, 86.9 + 13.6 = 100.5 = the ending value; No data values fall on an interval boundary. The long left whisker in the box plot is reflected in the left side of the histogram. The spread of the exam scores in the lower 50% is greater (73 – 33 = 40) than the spread in the upper 50% (100 – 73 = 27). The histogram, box plot, and chart all reflect this. There are a substantial number of A and B grades (80s, 90s, and 100). The histogram clearly shows this. The box plot shows us that the middle 50% of the exam scores (IQR = 29) are Ds, Cs, and Bs. The box plot also shows us that the lower 25% of the exam scores are Ds and Fs. The following data show the different types of pet food stores in the area carry. 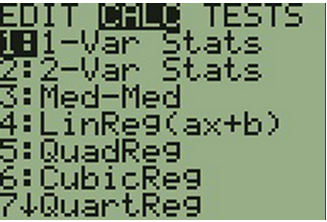 Calculate the sample mean and the sample standard deviation to one decimal place using a TI-83+ or TI-84 calculator. Just as we could not find the exact mean, neither can we find the exact standard deviation. Remember that standard deviation describes numerically the expected deviation a data value has from the mean. In simple English, the standard deviation allows us to compare how “unusual” individual data is compared to the mean. Find the standard deviation for the data in the table below. For this data set, we have the mean, = 7.58 and the standard deviation, . This means that a randomly selected data value would be expected to be 3.5 units from the mean. If we look at the first class, we see that the class midpoint is equal to one. This is almost two full standard deviations from the mean since 7.58 – 3.5 – 3.5 = 0.58. While the formula for calculating the standard deviation is not complicated, where sample standard deviation, = sample mean, the calculations are tedious. It is usually best to use technology when performing the calculations. You will see displayed both a population standard deviation, σx, and the sample standard deviation, sx. The standard deviation is useful when comparing data values that come from different data sets. If the data sets have different means and standard deviations, then comparing the data values directly can be misleading. For each data value, calculate how many standard deviations away from its mean the value is. Use the formula: value = mean + (#ofSTDEVs)(standard deviation); solve for #ofSTDEVs. 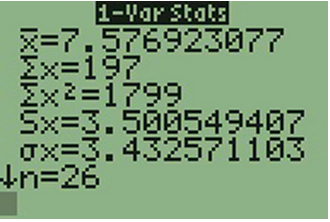 Compare the results of this calculation. Two students, John and Ali, from different high schools, wanted to find out who had the highest GPA when compared to his school. Which student had the highest GPA when compared to his school? For each student, determine how many standard deviations (#ofSTDEVs) his GPA is away from the average, for his school. Pay careful attention to signs when comparing and interpreting the answer. John has the better GPA when compared to his school because his GPA is 0.21 standard deviations below his school’s mean while Ali’s GPA is 0.3 standard deviations below his school’s mean. John’s z-score of –0.21 is higher than Ali’s z-score of –0.3. For GPA, higher values are better, so we conclude that John has the better GPA when compared to his school. Two swimmers, Angie and Beth, from different teams, wanted to find out who had the fastest time for the 50 meter freestyle when compared to her team. Which swimmer had the fastest time when compared to her team? The following lists give a few facts that provide a little more insight into what the standard deviation tells us about the distribution of the data. At least 75% of the data is within two standard deviations of the mean. At least 89% of the data is within three standard deviations of the mean. At least 95% of the data is within 4.5 standard deviations of the mean. This is known as Chebyshev’s Rule. Approximately 68% of the data is within one standard deviation of the mean. Approximately 95% of the data is within two standard deviations of the mean. More than 99% of the data is within three standard deviations of the mean. This is known as the Empirical Rule. It is important to note that this rule only applies when the shape of the distribution of the data is bell-shaped and symmetric. We will learn more about this when studying the “Normal” or “Gaussian” probability distribution in later chapters. King, Bill.”Graphically Speaking.” Institutional Research, Lake Tahoe Community College. Available online at http://www.ltcc.edu/web/about/institutional-research (accessed April 3, 2013). The standard deviation can help you calculate the spread of data. There are different equations to use if are calculating the standard deviation of a sample or of a population. is the formula for calculating the standard deviation of a sample.